News: 3D-printed eye cells could "aid in the cure of blindness" according to researchers at The University of Cambridge, who have successfully printed adult nerve cells for the first time. The researchers used an inkjet printer to print living retinal cells of adult rats, which could be built up and used to create replacements for defective eye tissues. "This is the first time that cells from the adult central nervous system have been successfully printed," professor Keith Martin told Dezeen. "We've demonstrated that you can take cells from the retina and you can effectively separate them out. These can be put in an inkjet printer and we can print those cells out in any pattern we like and we've shown that those cells can survive and thrive." Martin and his colleagues at Cambridge's neuroscience department, Wen-Kai Haiso and Barbara Lorber, published their findings in research journal Biofabrication yesterday. This is an important step in the development of tissue grafts for regenerative medicine and may aid in the cure of blindness, said the article. Martin hopes the development is a step towards treating retinal diseases such as glaucoma and macular degeneration, the two biggest causes of blindness in the UK. Their study is the first to show that retinal ganglion cells, which transmit signals from the eye to the brain, and glial cells that support this process can be printed in layers on top of each other without damaging them. "The retina is a multi-layered structure," said Martin. "We've shown that we can put down at least two layers so we can put down glial cells and 3D print retinal ganglion cells over the top." 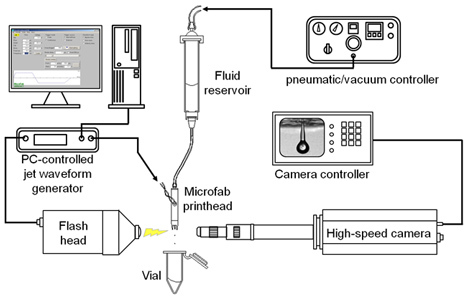 The team found that the cells weren't distorted when fired out of the printer at high speed, counter to predictions. "Effectively you can fire these cells at about 30 miles per hour and they survive that perfectly well," said Martin. "This was a real surprise to us because we didn't expect the cells to be able to survive being fired out of a cannon." Having successfully printed a layer of nerve cells and a layer of support cells, Martin says that the next step will be to print multiple layers to build up a full retina. "What we're looking to do now is to develop this towards ways of repairing the retina," he told us. "With time there's no reason why you can't print multiple different cell types in the same way that you print multiple different colours of ink. Building up 3D structures is the next step." Martin envisages that this could be done either by engineering a retina on a synthetic membrane or similar support structure and implanting it into the eye or by developing tools that would allow the printed cells to be sprayed onto the back of the eye. There have been really amazing advances with stem cell transplantation in the eye so this is a complementary technology that may be able to solve the problems we have with retinal repair, he said. 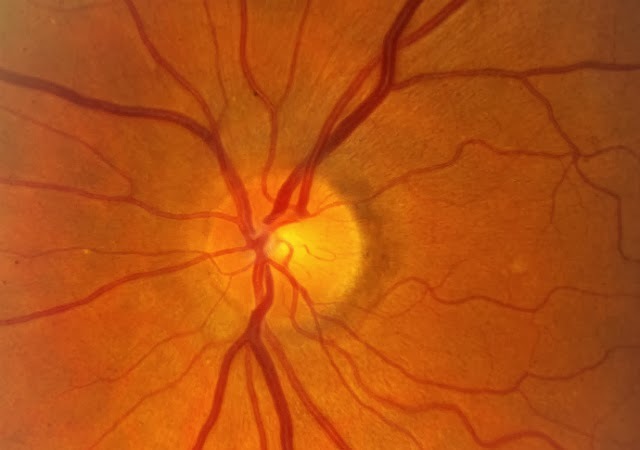 Although human trials are a way off yet, Martin believes that these advances are opening possibilities for curing not just retinal problems but other neural conditions. "This is a step forward and we're working hard to develop this technology for human use," he said. "We're looking to develop this for other parts of neural repair." We found it on Dezeen Magazine.